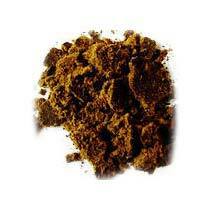 Our Castor Cake is prepared from the residue of the best quality Castor Seed. This high nitrogen Castor Cake is used as a fertilizer after crushing the castor kernels. We offer our Castor Cake only after proper detoxification to remove the ricin content. Our Castor cake can be safely fed to the livestock. Moreover, we provide the Castor cake in quality packaging.